Few things are better than a slice of warm apple pie. The cinnamon and sweet baked apple smell coming out of the oven… glorious. 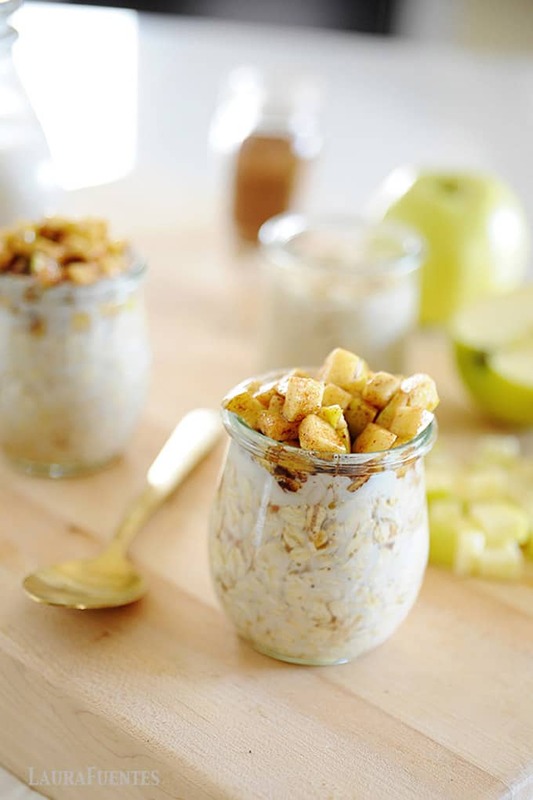 Which is why this recipe for Apple Pie Overnight Oats is a glorious breakfast option. Everything you love about apple pie enjoyed in the morning, to help start your busy day. With just a couple of ingredients and a few active minutes of preparation, you can make this terrific breakfast option ahead of time and have it ready in your fridge for the next morning. 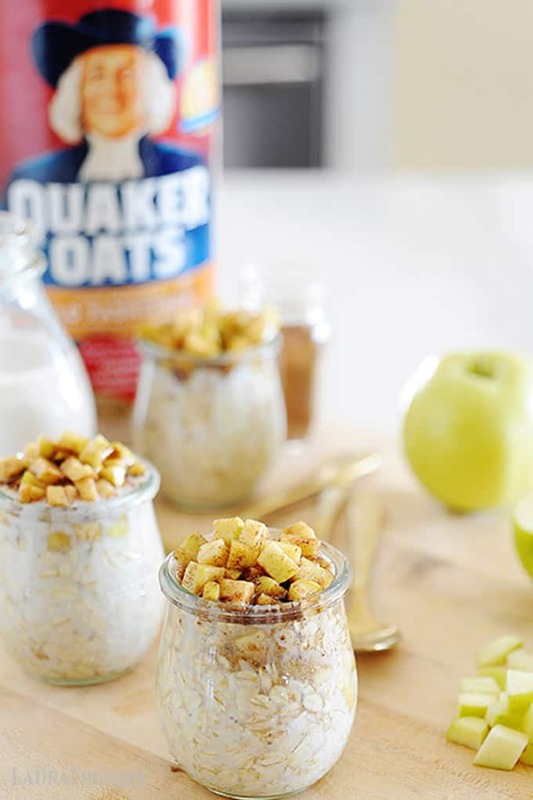 I love using Quaker Oats for all my oat recipes such as my Baked Cinnamon Oatmeal Bites, Blueberry Baked Oatmeal, and my many overnight oats recipes because their flakes are large and they taste delicious! Plus, each 1/2 cup serving of rolled oats provides a good source of fiber and important vitamins and minerals. 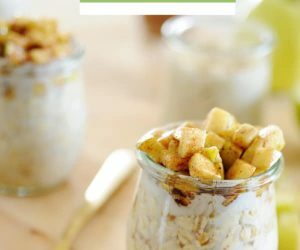 Their versatility allows me to add the goodness of oats to the meals my family already enjoys, and with this recipe, I have a nourishing start to help my day and the enjoyment of a breakfast option I love. Double win. 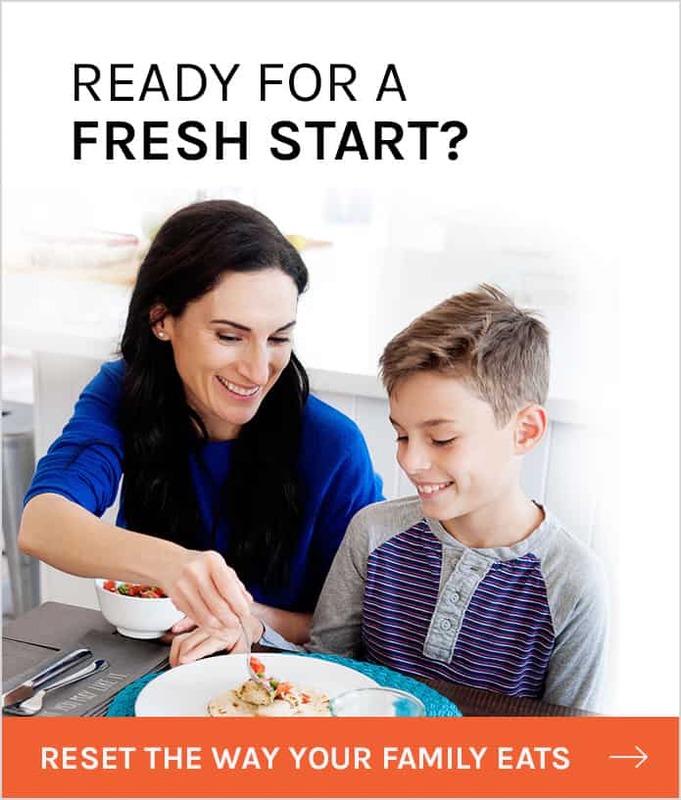 For many of us, mornings are the most hectic part of our days; and now that it’s fall and we’re all settled into our kids’ routines, it’s more important than ever to make what we can ahead of time. When it comes to overnight oats, I love cooking my fruit on a pan to bring out the natural sweetness and take the basic recipe to the next level. 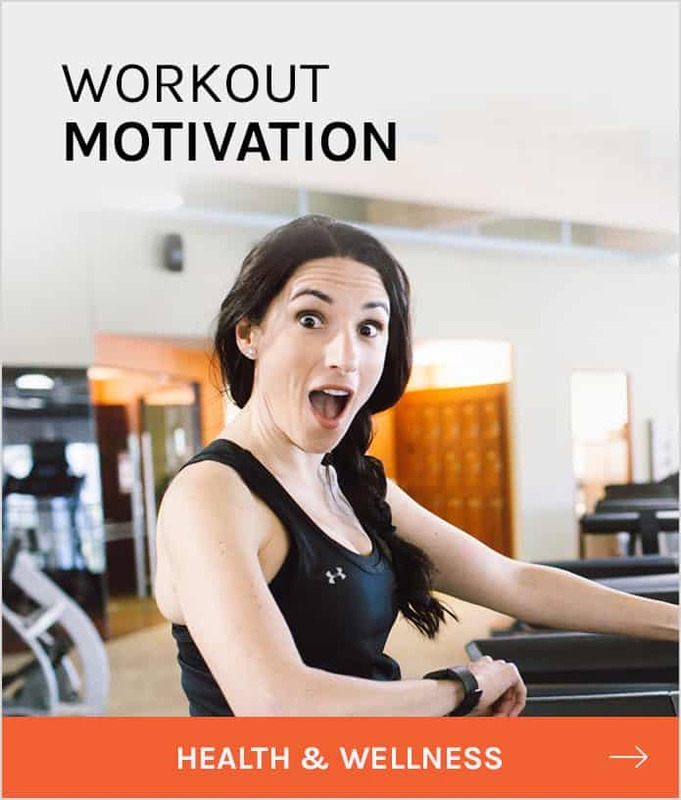 Trust me, you don’t want to skip this step; it only takes a couple of minutes and it’s sooooo worth it! 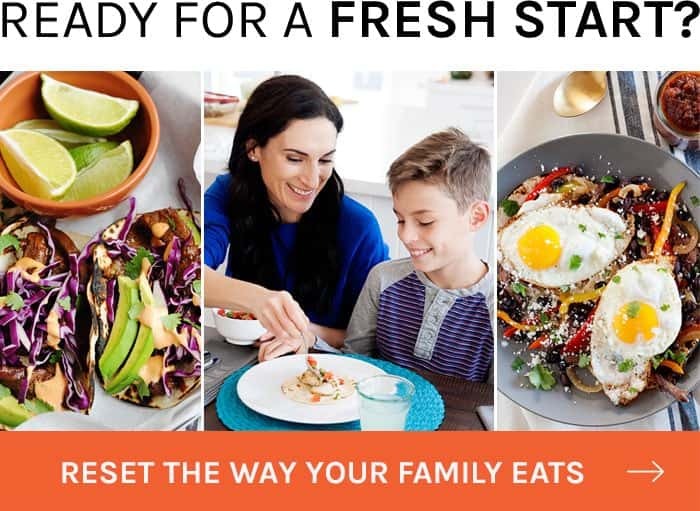 That’s why opting for incredibly easy and nourishing recipes like this one that can be prepared the night before and kept in the fridge for an easy grab and go breakfast option are great because they also help us get more whole grains into our day. 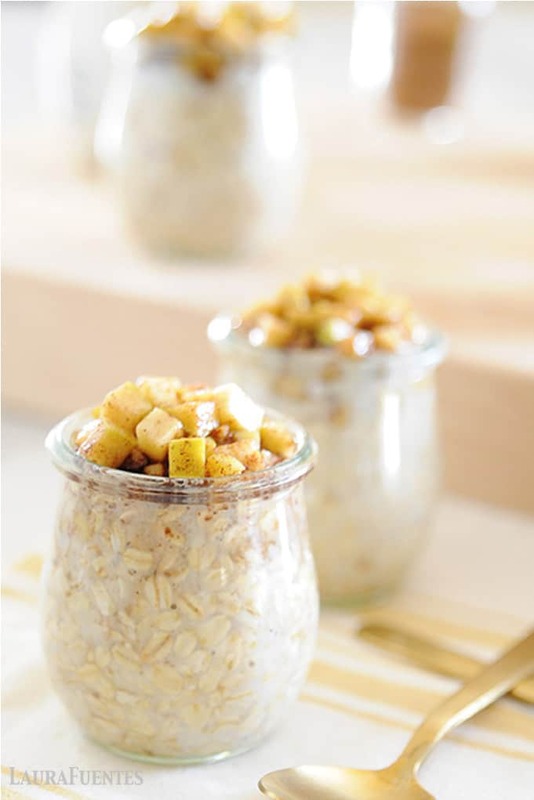 The recipe comes together in four small jars first by mixing Quaker Old Fashioned Oats and milk into a jar or bowl. I use jars because they have a lid and that make them spill-proof in my fridge and portable to the office as well. The combination of hearty oats, cinnamon, and warm baked-like apples is the best type of aromatherapy –especially in the fall! 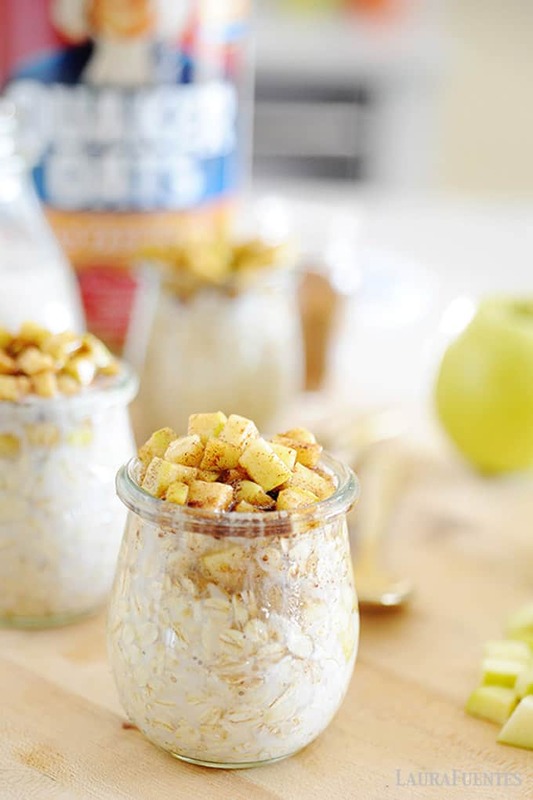 Who wouldn’t want to start their day with a warm bowl of apple pie oats? Exactly. Can overnight oats be heated up? 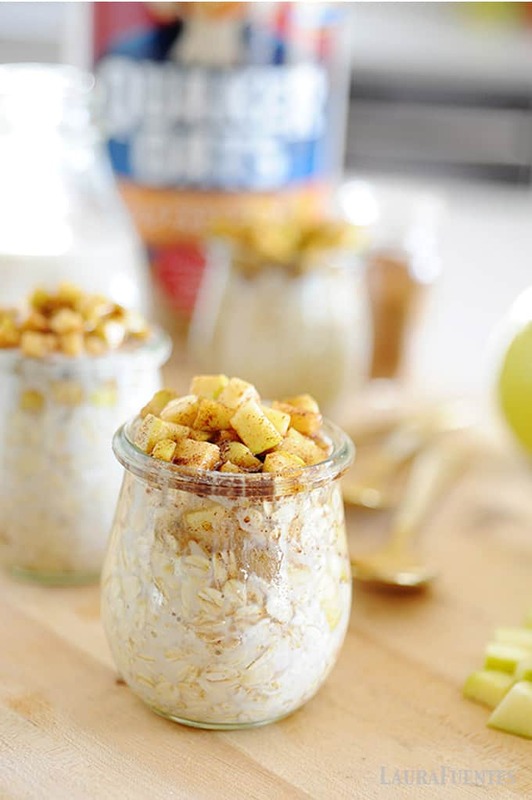 Overnight oats can be heated up in the microwave prior to eating or eaten cold straight out of the fridge! It really depends what you feel like eating; although there’s something so comforting about a warm bowl –or jar in this case- of oats. Can these overnight oats be made with quick oats? Of course! But they’ll be thinner in consistency with the recipe ratio below. However, after you warm them and add your deliciously cooked apples… oh my! 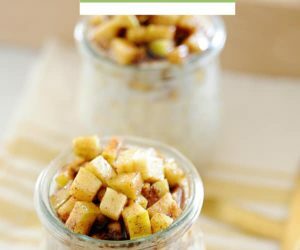 Can you make overnight oats in plastic jars? Yes, you can. I try to use glass for no other reason than I like to warm up my oats but if plastic containers is what you have around, use them. You can get inexpensive mason jars online or at the store for this (and many other) recipes. How long will overnight oats last in the fridge? After you make these overnight oats they’ll last about 3 to 4 days in the refrigerator. Since the recipe makes 4 servings, even if you’re cooking for one, you’ll have a delicious breakfast option for a few days! I love starting my day with a serving of whole grains since many Americans fall short on meeting their recommended amount of whole grains each day. 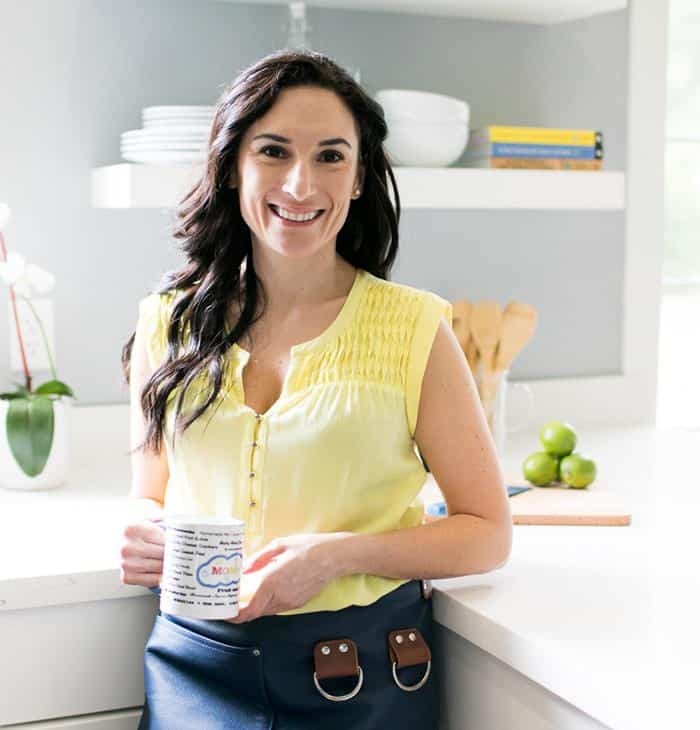 Feeding our bodies with nourishing foods, like Quaker Oats, helps to keep us on top of the game and incorporating them into our day is very easy; which is why I keep Quaker Oats in my pantry at all times. For more delicious and simple oat recipes head over to QuakerOats.com. 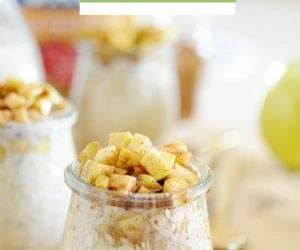 What are some of your favorite overnight oats combinations? On a flat surface, place lidded glass jars. Fill each with ½ cup oats, 1/2 cup milk, and stir. In a large non-stick pan over medium-high heat, melt the butter. Add apples and cinnamon and cook stirring, for about 3 to 5 minutes until they have softened. Once the apples are soft, add in the maple syrup and turn off the heat. 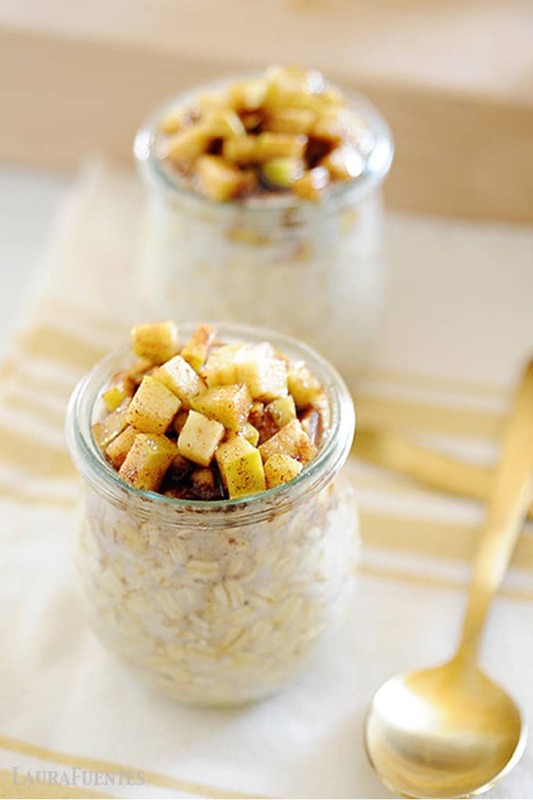 Distribute apple mixture into the 4 jars, cover, and refrigerate 8 hours or overnight. Enjoy cold or warmed up for 30 seconds in the microwave. I’ve loved all your overnight oats recipes over the years, Laura. And you are right, the Quaker flakes are much better than any other brand -just bigger and not flat. These are in the fridge as we speak. We are a gluten-free home and I buy Quaker Oats. I remember watching your trip to the factory last year? something like that on instagram and more than ever we’ve embraced oats without fear. This recipe is going on my weekly must-make! 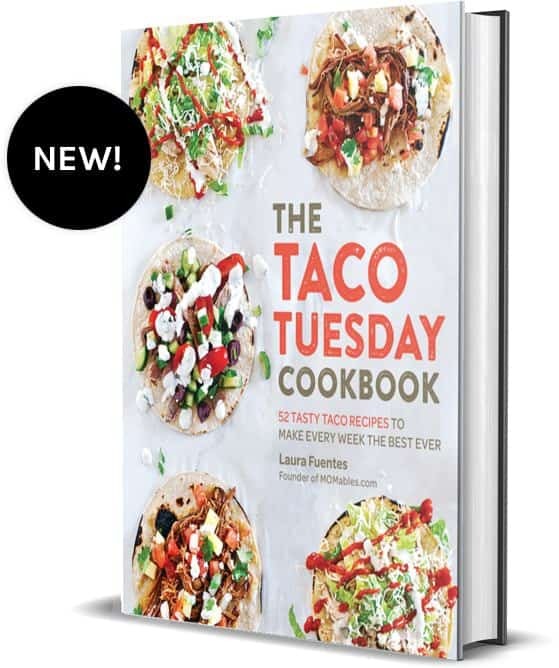 Thanks for making recipes we love Laura.